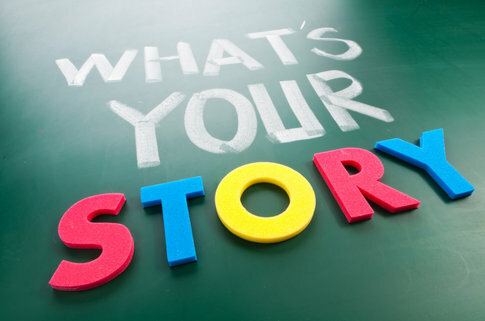 A common question we are asked is ‘are there any examples of business leaders who are good storytellers’. Shawn wrote a post a while back with a list of nine good examples. I’d like to add two more to that list. In both circumstances, these leaders made clear and memorable business points by relating relevant personal experiences. More importantly, the use of relevant and engaging examples raised their personal ‘brands’ substantially with their audiences. Without missing a beat he said “It was in October 2004 and I was working as part of a project team…” He told a story of how he had challenged a project’s direction and by telling a relevant example, caused everyone in the room to pause and after a little reflection, to agree they needed to re-think the project. The second example was in mid-July at a networking event organised by Jon Burgess of Kwan. The keynote speaker was Laura Inman, whose track record includes being MD of Officeworks, Target Australia and then Billabong International. Laura talked about four career turning points including how she and her family came to emigrate from South Africa to Australia after her house was broken into and her children held at knifepoint. She also related how much she had learned about leadership from a hiking (mis)adventure in Norway with her husband. Without any hint of arrogance, Laura came across as smart, determined, approachable and the sort of leader you’d like to work for. Its great to see leaders who know the power of stories and are confident enough to use personal experiences that show their character and humanity. What other leaders have you seen out there who are effective storytellers?